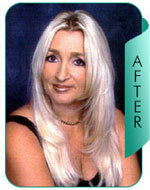 Bonnie's Hair Salon takes advantage of the Great Lengths hair extension system. 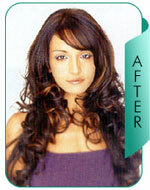 Great lengths utilizes 100% human hair ...healthy, soft, natural textured hair. 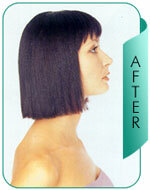 The hair is gathered so that all cuticle layers are aligned in the same direction, with every strand uniform in color, texture and diameter. Each strand is pre bonded with a patented protein polymer - a chemical compound that mimics the human hair's molecular structure. 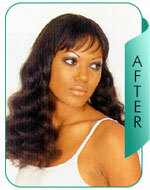 We have many hair extension styles adding volume, texture, color and extension to the human hair. Our system and techniques are virtually invisible!